How do I view the sync history for a blueprint course as an instructor? 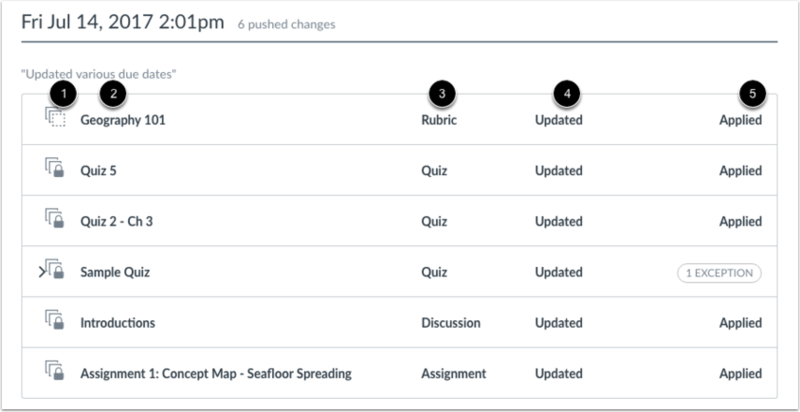 If you are enrolled in a blueprint course as an instructor, you can sync blueprint content changes to associated courses. Once a sync has been made in a blueprint course to associated courses, the sync is recorded in the Sync History page. You can view Sync History to view prior syncs and details about the sync. The Sync History page records the last five syncs to the blueprint course. 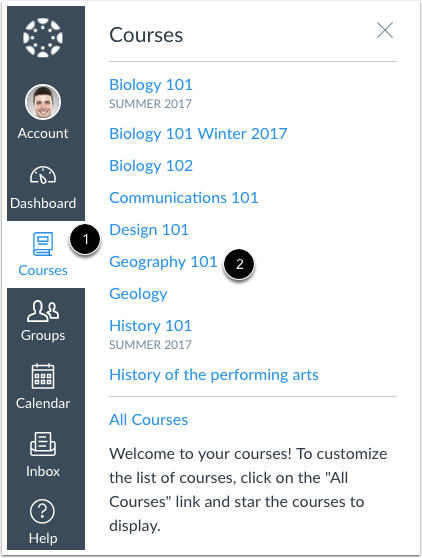 Associated courses display the latest blueprint sync information in Course Settings. If sync history shows no sync details, the blueprint course was being synced to an associated course by an admin. The sync history for association syncs show the date and time the sync was made but no additional details are included. In the Course Home Page, click the Blueprint sidebar tab , then click the Sync History link . Note: You can access the Blueprint sidebar from any Course Navigation page. The Sync History page shows information about the last five syncs to the blueprint course. The page displays the date and time of the sync  and the number of changes . If a message was included as part of the notification, the message is displayed above the list of synced changes . 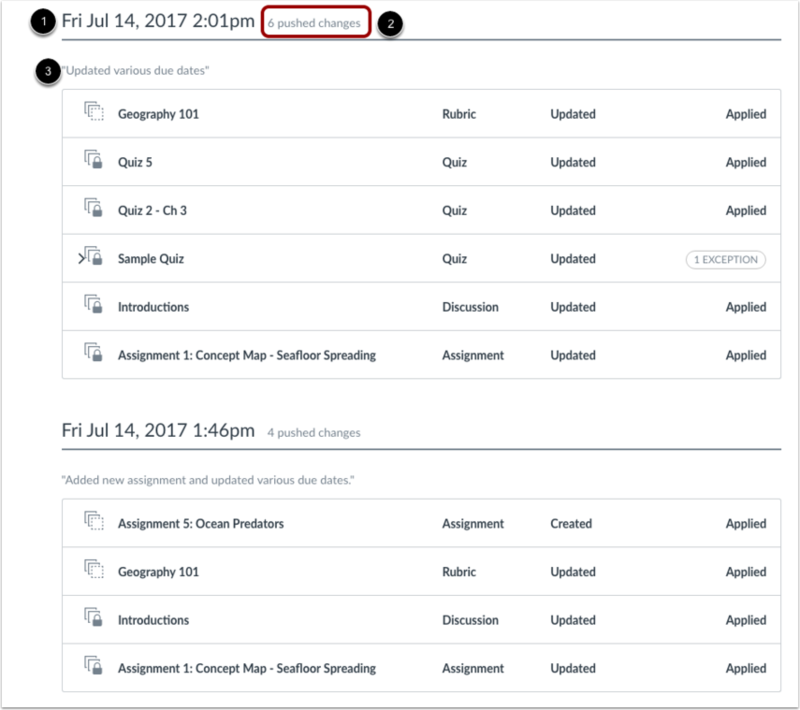 For a course association made by an admin, sync history will show the date and time the sync was made but no details will be included related to the sync . The Sync History page shows the specific content that has been synced. Each content object shows the synced status of the object (locked or unlocked) , the name of the content item , the content change , the content object type , and whether or not the sync was applied . Content changes can be created, updated, or deleted. Updated changes indicate any change to existing content. The Sync History page may show items with a sync exception. Exceptions occur when content is not synced because the content was modified in an associated course before the blueprint course was synced. An exception is noted by the Exception indicator , which includes the number of exceptions. To view which course(s) had an exception, click the arrow icon next to the name of the content item . The expanded details show the term and the name of the course. When you are finished viewing the Sync History page, click the Done button. Previous Topic:How do I sync course content in a blueprint course as an instructor? Next Topic:How do I use the Discussions Index Page? Table of Contents > Courses and Sections > How do I view the sync history for a blueprint course as an instructor? Where are exceptions explained? I have a blueprint course that when synced the "exceptions" icon appears but there is no detailed for me to know which courses did not sync. Thanks for bringing this to our attention! I can't seem to find where we have exceptions explained, so I have made a task for our team to add that info. I noticed we show an exception in our images on this lesson, but don't mention how you can click the down arrow next to the content item name to see further detail about what wasn't updated in the associated course(s) and which course(s) are affected. Please let us know if there is anything else we can help you with around the Canvas Guides.